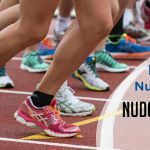 NudgeFrance | NudgeFrance presents: the NudgeChallenge! 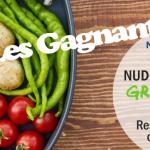 Today NudgeFrance is thrilled to launch its first Nudge contest! 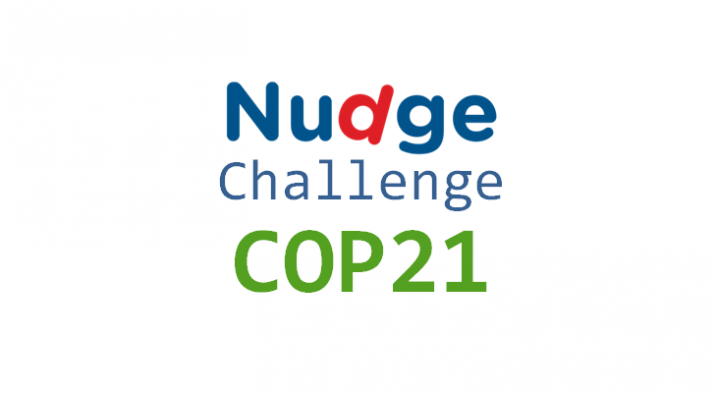 Organized in the context of the Paris 2015 UN Climate Change Conference, the NudgeChallenge is a 3-month Nudge-design hackathon that aims at generating citizen-level actions to mitigate global warming. Working in teams, participants will have to imagine Nudge concepts and introduce them in a video. Teams will work on daily-life challenges, finding Nudges that can foster behavioral changes with an impact on irrational conducts to help slow global warming down and help preserve the Earth’s resources! Share your project in a video, get your friends to vote! Teams will have to design Nudges up to the prototyping phase, so proofs of potiential efficiency can be produced. Then they’ll present their project in English in a 3-4-minute video. Videos will be uploaded on a the contest’s Facebook page, where the public will get to vote for their favorite project! Can I take part to the challenge? How do I register? Both French and International teams will be able to enter the Video Contest. Videos will have to be submitted by October 31st – Extended Deadline November 15th – and then the Video Contest winner will be decided on December 9th. Teams have to contact us at nudgefrance@gmail.com to register! Further readings: « Chapter 9, Climate Change (click here) » on WorldBank.